Emblazoned on the wall behind cash registers at a Value Village thrift store in Bellingham, Washington, the meaning of the feel-good message couldn’t be missed by shoppers at the store’s grand opening in 2011: The purchase of slightly used pants, a vintage jacket and other thrift-store treasures is an act of charity. 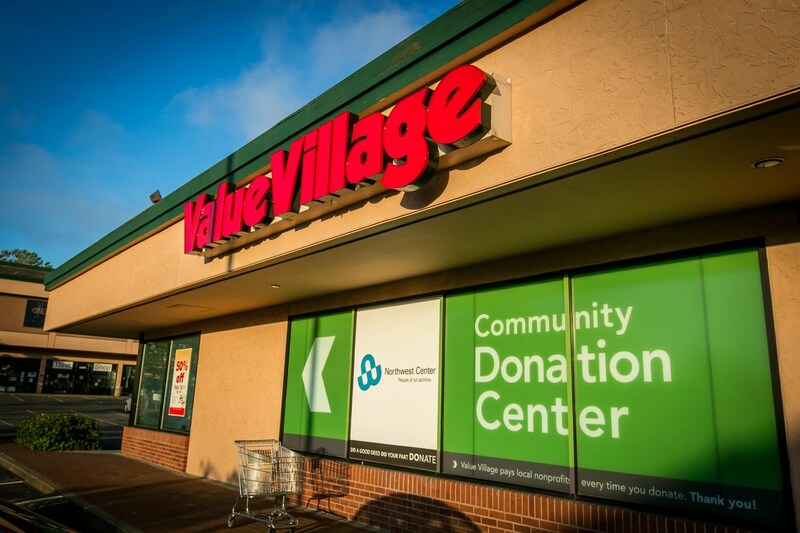 Ubiquitous promotion of charitable activity is a big reason why Value Village’s corporate parent, Savers, Inc., does more than $1.2 billion in business annually. For years it has been the single largest player in the prosperous and growing industry of for-profit thrift stores. 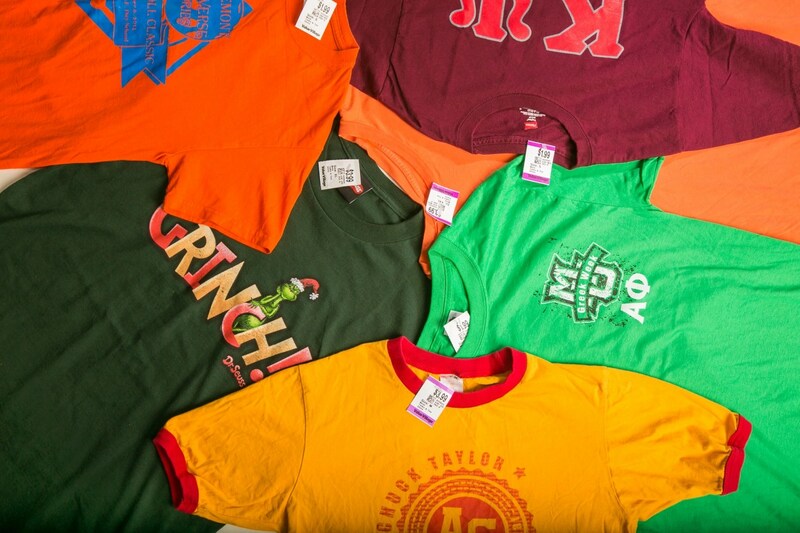 Thrift has proved lucrative for the firms’ executives. Board Chairman Tom Ellison, for example, owns a waterfront mansion in the same exclusive Seattle suburb where Bill Gates lives. But Savers’ claims about doing good for charities may be overblown. Behind many a great deal at Value Village is what others might see as a pretty meager good deed. Behind others there appears to be none, InvestigateWest found during a two-year investigation. Sometimes Savers’ charity partners have received less than 5 percent of sales revenue on goods donated on their behalf, InvestigateWest found. Overall, it appears that between 8 percent and 17 percent of the firm’s revenue ends up with charities. Meanwhile, Savers does not routinely tell donors how much of their used-goods donation actually goes to charity. That may mislead donors to overestimate their good deed, and according to tax experts and charity-watchers, prompt them to take a tax deduction that is far too high. Over the course of nearly a year, Savers repeatedly declined to be interviewed or provide answers in response to written questions for this story. Savers is aggressively expanding. From 2009 to 2014, Savers grew at a rate of about 5 percent each year and opened or acquired up to 20 stores a year, according to industry-research firm IBISWorld. 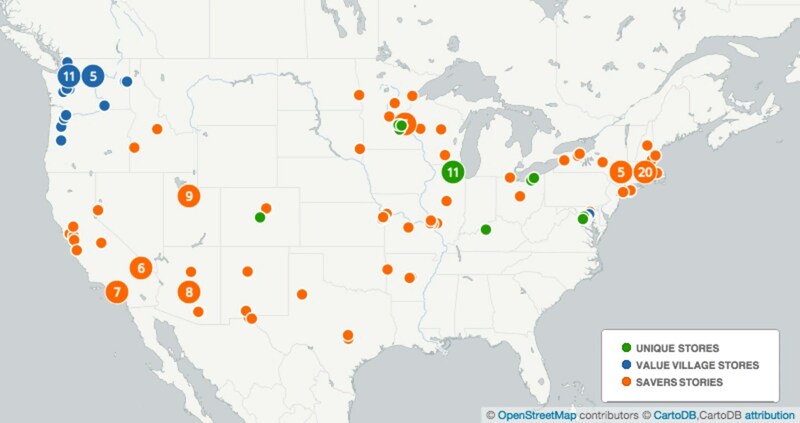 The company now operates more than 330 stores in 29 states, Canada and Australia and employing 22,000 workers. The chain increasingly competes with longstanding nonprofit thrift stores that devote most of their revenue to those in need. 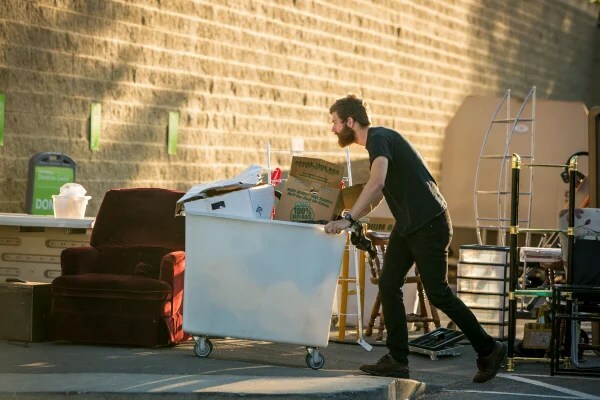 Savers Inc. store locations in the U.S.
And Savers, after decades of relying heavily on its partner charities to gather goods for sale at its stores, has embraced a new strategy: asking donors to drop off merchandise directly instead of donating to charities that then bring the goods to Savers. These in-store donations pay charities far less per pound than merchandise brought in by the charities themselves. And it has paid off. From 2005 to 2010 Savers was the nation’s fifth-fastest-growing discount retailer, according to the trade journal Chain Store Guide. And since 2006 its revenue has more than doubled, according to Moody’s Investor’s Service, to $1.2 billion, although privately owned Savers does not disclose its financial performance to the public. Meanwhile, at least six of the more than 100 charities associated with Savers stores have severed ties with the company since 2009, at least three citing terms that were too unfavorable. One charity that pulled the plug was the Boston-area Big Brother Big Sister Foundation, which now is netting three to four times the revenue it received under the Savers deal by operating its own thrift store, according to Steven Beck, director of the nonprofit. There’s no question that charities make money they wouldn’t otherwise have. But critics say Savers’ consumers and donors are being deceived because so little of the stores’ revenue actually reaches the charities. Consumer advocate Sylvia Kronstadt, formerly a fraud investigator in New York City’s Department of Consumer Affairs, says consumers and donors should shun Savers because of its business model. Long before Macklemore’s monster 2012 hit “Thrift Shop” spotlighted an evolution in Americans’ shopping habits, Savers perfected a “community service” marketing veneer that suggests its main goal is to help charities. “A lot of people coming in here think we are a charity,” Sean Macrae, a floor worker at one of Savers’ Value Village stores in Seattle, told InvestigateWest, even though Savers is registered as a for-profit business in Washington state and elsewhere. Founded by the son of a Salvation Army executive in San Francisco’s Mission District in 1954, Savers created a business model that today is growing increasingly widespread: the for-profit thrift store. Goods sold in Savers’ stores come from charities’ collection bins, at-home pickups scheduled by telemarketers paid by Savers or a nonprofit partner, and special fundraising drives. And from the in-store drop-offs Savers now favors. Potential donors are targeted with radio and TV ads, direct mail appeals, postcards and brochures. Savers’ for-profit status “needs to be disclosed at the point of donation,” said Daniel Borochoff, president of the American Institute of Philanthropy and charitywatch.org. Savers’ nonprofit competitors are pointed in their criticism. Although most states do not require for-profit thrift stores to disclose how much they pay charities, InvestigateWest obtained contracts between Savers and charities filed with state officials in Washington and documents from Minnesota describing prices Savers paid charities there. InvestigateWest also analyzed information gathered by California on Savers stores doing business with two Silicon Valley charities. Taken together, they show that Savers’ partners are receiving only a small fraction of the sale price of the donated merchandise. Interviews with more than a dozen former and current employees corroborate these records. The smallest percentages of revenue paid to charities over the last 15 years by Savers, according to the California records, came in 2001 when Big Brothers, Big Sisters of East Bay, in Oakland, received .02 percent of the revenue. The same year Hope Rehabilitation Services in Santa Clara received just .87 percent of Savers’ revenue, California public records state. The most recent California records, from 2013, state that Savers is sending between 4 percent and 17 percent of revenue to charities. Overall, Savers says it paid $200 million to charities in 2014. If the $1.2 billion in annual revenue that Moody’s estimates Savers made for the year ending in April 2015 is accurate, that works out to Savers keeping roughly 83 cents of every dollar it takes in, while charities get 17 percent. Hoovers estimates Savers’ annual revenues at $2.4 billion. That would mean about 8 percent of Savers’ revenue is going to charity. Savers’ largest nonprofit competitors, which are required by federal law to report their finances to the public, spend a large majority of revenue on helping people in need. For example, even though Goodwill Industries International has been criticized for extravagant executive salaries, its 2014 audited financial statement reports that it devoted 95 percent of its revenue to programs that help the disabled and others who have difficulty securing work. Although Savers would not respond to InvestigateWest’s questions, public records show how the firm has defended itself to government officials. Yet the price discrepancies between what Savers pays the charities and how much items earn on the sales floor are stark: A tie that Value Village might pay a nickel to buy from a charity sells for $4.99. A vintage women’s top that costs Value Village a dime sells for $9.99. A purse that Value Village gets for about a quarter retails for $12.99. A vase, which Value Village doesn’t pay anything for under the contracts InvestigateWest reviewed, goes on the sales floor for $14.99. Those figures, based on one typical contract and purchases made by InvestigateWest at a Seattle Value Village, vary from store to store and nonprofit to nonprofit, but across its operations, Savers’ business model is based on paying a few dimes per pound for clothing it sells at secondhand-retail prices — a considerable margin. Calling itself “the thrift superstore with a community conscience,” Savers defends itself against supporters of nonprofit thrift store operators, stating that it offers medium-sized nonprofits a way to earn money even if they can’t open their own thrift stores, like behemoths of the industry, Goodwill and The Salvation Army. Indeed, some of Savers’ charity partners have done business with the chain for decades. Savers spokeswoman Sara Gaugl told Washington State officials in a 2013 letter responding to a consumer’s complaint that the company pays nonprofits for all the items delivered, even though nearly three-quarters are not suitable for resale. The rest are “responsibly recycled,” she wrote. Much of that involves selling merchandise in developing countries. The consumer’s complaint cited numerous in-store fundraising appeals and asked why the company had not registered as a commercial fundraiser. “Inside the store, there are more signs, in addition to canned announcements every few minutes plus bookmarks scattered everywhere,” the consumer wrote. She also urged the state’s attorney general to undertake an investigation of Savers. The state Attorney General’s Office passed the complaint on to Savers and closed the matter in March 2013. Minnesota’s Attorney General took different approach, prompted by “many complaints from consumers,” according to spokesman Ben Wogsland. The suit sought to compel the company to be more forthcoming with consumers and donors. “Examples abound of Savers’ attempts to blur its mission and identity with that of charities,” it said. The lawsuit was settled in June, with Savers agreeing to pay $1.8 million to charities and provide more transparency to donors and shoppers. It did not acknowledge any wrongdoing. Swanson in May notified other states’ attorneys general of her findings. So far none has taken action. Some who have worked at Value Village understand the criticisms. An InvestigateWest review of eight contracts between Savers and charities in Washington state found that Savers appears to pay nothing for certain donated items. The charities’ donations are required by the contracts to be weighed and paid for but the housewares and so forth are “included in the cloth price.” Translation: Charities are required by contract to bring in the hard goods. They just don’t get paid for them. Several former Savers employees and an executive at a former Savers charity partner confirmed this information to InvestigateWest. Savers’ practices are well-known among charity watchers and those in the resale business themselves. “Savers and other for-profit stores should be clearly articulating the amount that is actually going to the charity and clearly telling donors where the rest is going,” said Kris Kewitsch, director of the Minnesota-based Charities Review Council. But the company has resisted a legal requirement to do that in its home state of Washington. At least six times since 1987 authorities in Savers’ home state of Washington told the company to register as a commercial fundraiser under a state law meant to protect the public from deceptive fundraising. Commercial fundraisers must report how much they raise for charity and what percentage they keep for themselves. Finally, in November 2014, Savers conceded. It is now registered as a commercial fundraiser in Washington, and is required to report how much it is giving to charities. But the company has not yet revealed what proportion of its revenues go to charity. In Minnesota, it took the attorney general’s lawsuit to get Savers to promise to disclose the percentage of a donation’s value that actually reaches the charity, including differences for in-store donations. Under the settlement, Savers will also file annual reports with the state outlining the value of donations, expenses and payments to charities; certify that donations solicited on behalf of a particular charity actually benefit that charity; and for the first time, be prohibited from not paying for non-clothing goods collected by charities. For Savers’ donors elsewhere, an equal dose of transparency may still be hard to come by. Critics charge that how Savers’ collects donations encourages donors to overestimate the value of their charitable contribution. InvestigateWest documented several instances in which Savers stores gave donors the impression the entire value of the goods is deductible. “Please insert what you feel is fair market value of the merchandise,” said a receipt for Savers’ donors in Kansas City. A Seattle-area store distributes receipts with similar wording. Many tax professionals interpret IRS rules on charitable donations as allowing donors to deduct “fair market value” based on sale prices of comparable items for donations to thrift stores if the store is directly run by a charity, or if they know what portion of their donation actually goes to a connected charity. The problem, however: as long as the charities and thrift store operators fail to disclose that only a portion of one’s donation is really deductible, donors can’t assign a fair estimate, tax experts and charity watchers say. “I hope this Minnesota lawsuit opens the eyes of the donating public,” she said. InvestigateWest is a nonprofit news agency based in Seattle. This reporting project was supported by the Fund for Investigative Journalism and by InvestigateWest donors. Find out more at www.invw.org.